This post is inspired by George Veletsianos, who has created a video summary titled ‘Scholarship on Social Media and the Academic Self’ based on his paper ‘Open Practices and Identity: Evidence from Researchers and Educators’ Social Media Participation’. “Is sharing a value of contemporary academic culture overall or is sharing a value of a specific academic sub culture? Are you interested in working in the creative industries when you graduate? 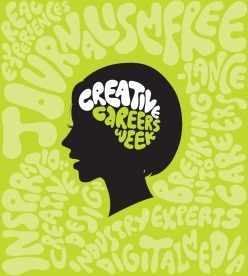 Come along to our annual Creative Careers Week which will give you fantastic insight into finding experience and work in this evolving and exciting sector. As well as practical workshops on applying creatively for jobs and talks from our alumni in the creative industries. Book your place and come to as many sessions as you want from the 8th-12th February! Hope you can join us for the day – lunch will be provided! This entry was posted in Training and Development. Applications are now open for the White House Internship Program in summer 2016, providing an opportunity to develop leadership skills and gain exposure to the public service sector. Interns dedicate their time, talents, energy, and service to better the White House, the community, and the nation. The assignments given to an intern on any given day could include conducting research, managing incoming inquiries, attending meetings, writing memos, and staffing events.